The history of the Zion-Mt. Carmel Tunnel is interesting. It was in 1919 when a Congressional bill designating Zion was signed into law. In 1923 a search began to find a way to open Zion Canyon to the the magnificent land of the other side of the mountain. Routes were considered through Parunuweap and North Creek, but it was decided to build the Zion-Mt. Carmel Highway and the switchbacks. This was a giant challenge for the times. Imagine boring through the solid rock with the equipment available in those days. 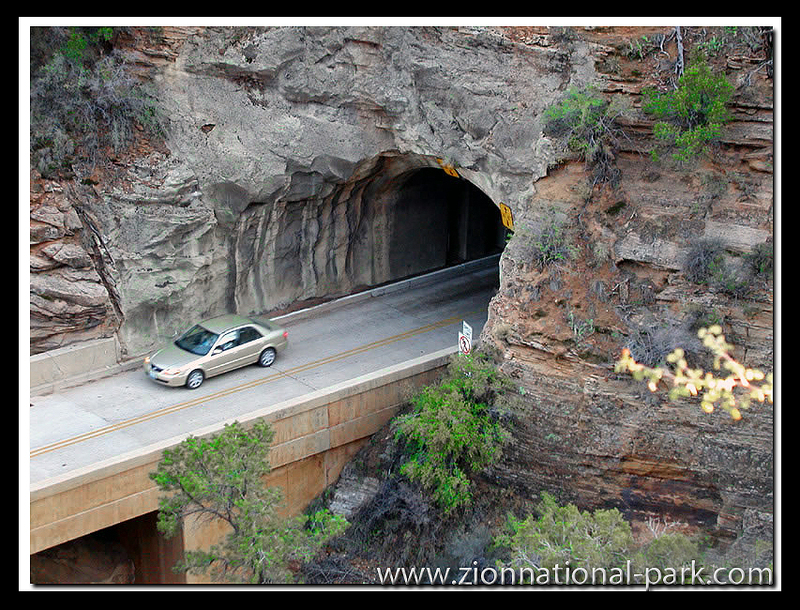 July 4th, 1930, the tunnel and highway were dedicated, linking Zion Canyon to the land east of the park and making it easier to visit the other parks located on the east side of the park.